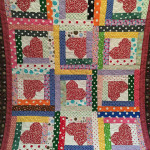 I recently finished this quilt for Heather at A Reformed Heath’n. 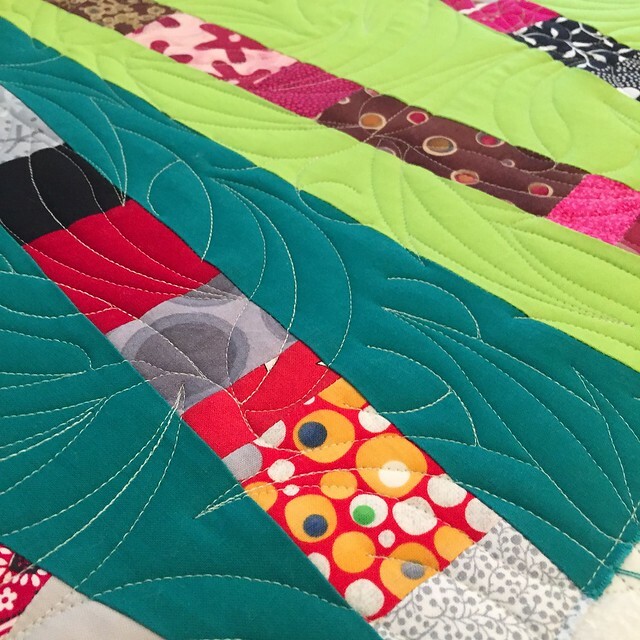 She had created this Bamboo quilt from her month in the Stash Bee in 2014. 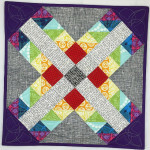 She has a tutorial to make these blocks here. 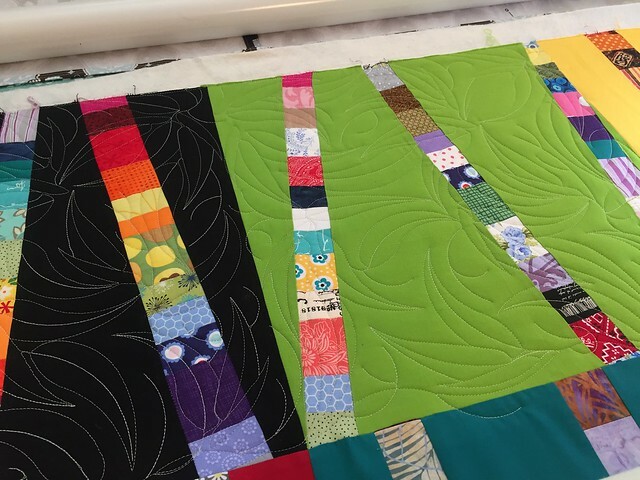 We talked about how she wanted it quilted, and decided to go with this leafy panto that would bring out the bamboo look. 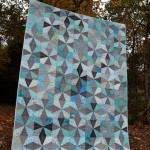 I enjoyed giving Heather sneak peeks of her quilt all day on Instagram while it was on the frame. 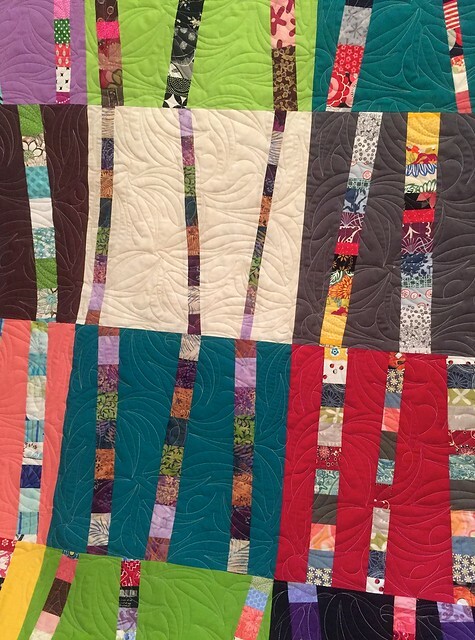 This is a pretty dense design, but it adds a lot of motion to the quilt, and evokes that leafy bamboo jungle feeling. 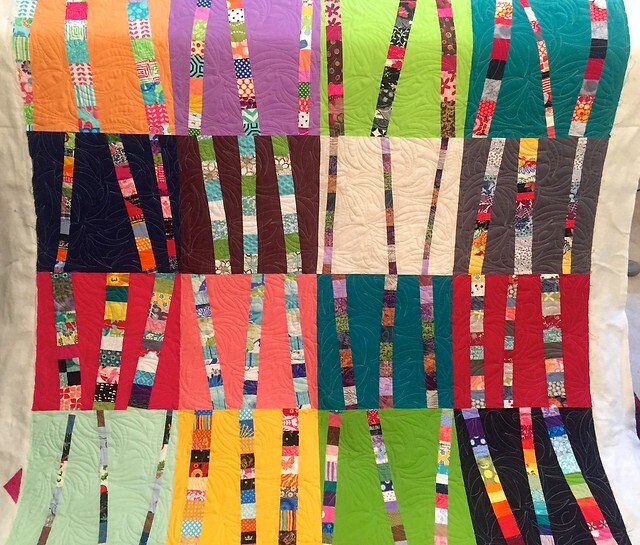 Here’s the completed quilt! I am happy to report that it arrived safely back to Heather a few weeks ago, I just haven’t posted it yet. 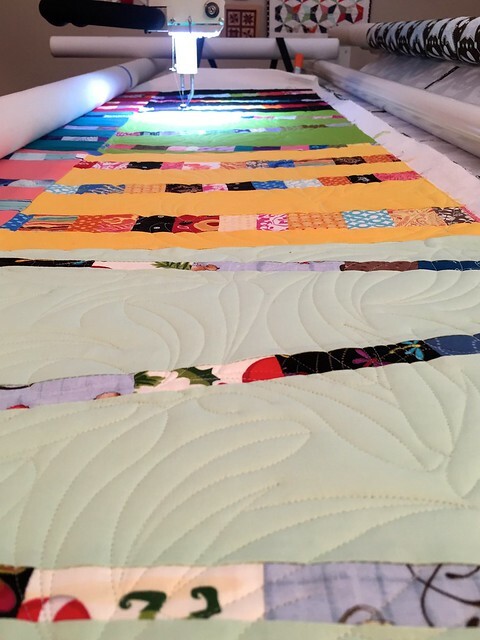 She’s better than me, and has the quilt completed and entered into the Blogger’s Quilt Festival! 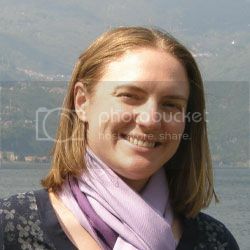 If you would like to finish up one of your UFOs, let me know! I am full prior to the move, but once I am set back up there will be no wait. We are supposed to get into our house on July 1st, so I’m hoping to be back at work mid-July. I’ll let you know as it gets closer!